I know I’ve been focused on maintenance lately, and haven’t been sharing very many recipes for the folks in the good ol’ weight loss phase! Here are some tofu discoveries that I’ve made lately for your eating and viewing pleasure. 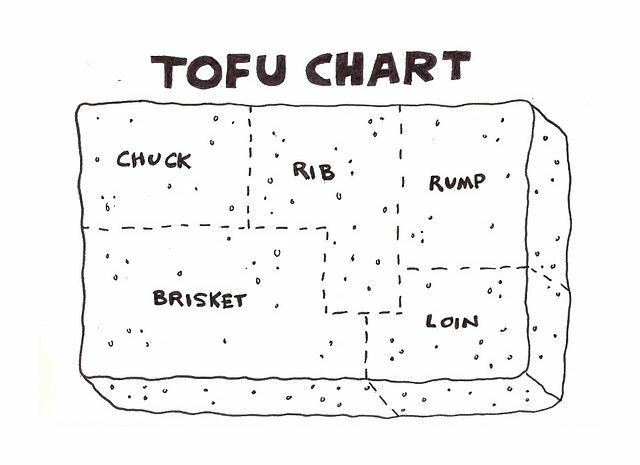 Tofu has been a little bit of a mystery to me for a long time. I enjoy it raw and cubed in miso soup, and I like it when eating out in the context of a Thai curry or stir fry, but besides of battering and deep frying it in my NMF days, I’ve never really been satisfied with my ability to prepare it. As usual, minimalist baker has blown my mind. The game-changing tofu cooking technique that I learned from this post is baking it first before sautéing it in sauce. Any sauce you like. This gives it a crispy edge without using any oil, maximizes the sauce ingredients, and keeps the center tender. Brilliant. And really easy. Feel free to double the fats to make a whole fat serving. It still works great (well, better actually). However, I like to use the rest of my fat serving for sesame oil to stir fry my veggies or fried rice. Press the tofu by wrapping it in a paper towel or dish towel and set something heavy on top (like a pot or pan) to press out the water for 10-30 minutes (longer is better). Dice tofu into 1/2 inch cubes and place in a single layer on a baking sheet lined with parchment paper. Bake for 25-30 minutes, or until they have a thin crust but aren’t totally dried out. Combine sauce in a small dish with a fork. Toss tofu in a non-stick skillet with the sauce and cook over medium heat for 5 minutes or so, until coated and absorbed. But… if you’re eating nut-free or oil-free, don’t despair, here’s a bunch of great oil-free options I’ve been enjoying lately. Click on the titles for links to the recipes. Measuring Note: All of the flavorings in these recipes are considered condiments, so 4 oz of prepared tofu would still be a protein. Enjoy your new love affair with tofu! Next Next post: AVAILABLE NOW!!! New Maintenance Cookbook! Had the baked tofu fingers for lunch! So good! THANK YOU, I was so uncertain about how to do this. Very easy. Thanks! At last a way of using ‘plain’ tofu that I find tasty!